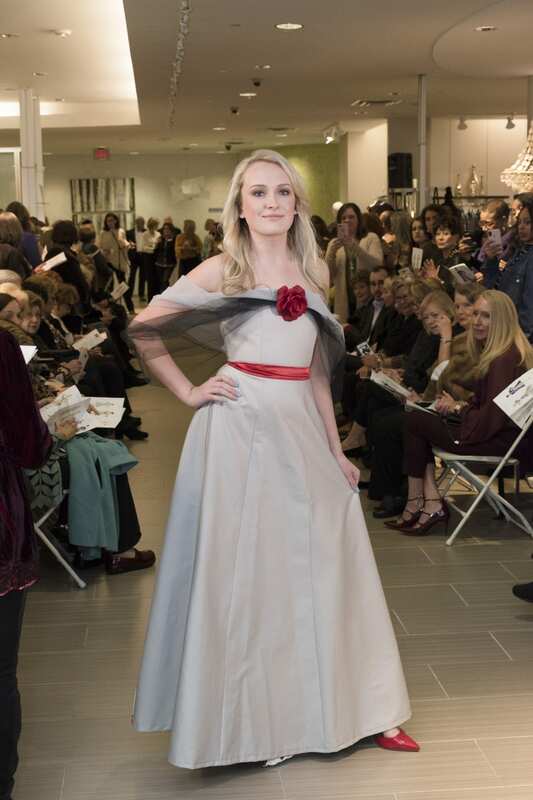 Madyson Smith, pictured, models Mary Rives Drake’s interpretation of one of Hedy’s sketches. 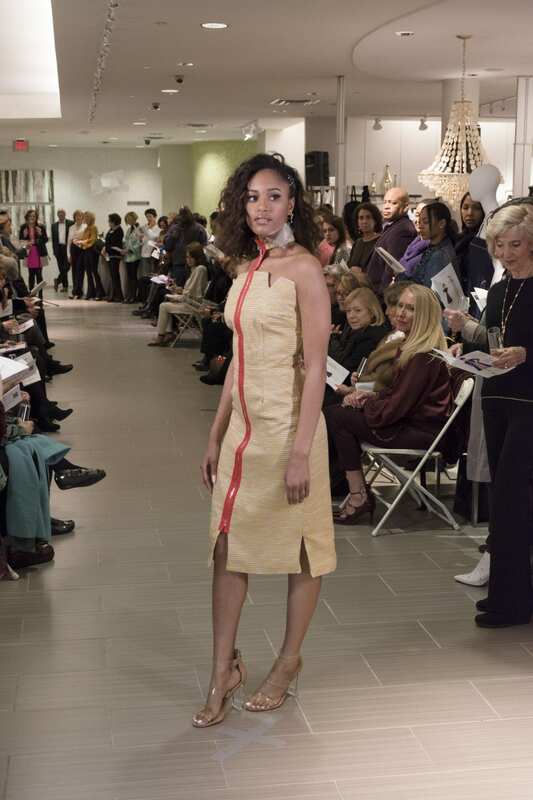 On Jan. 27, also nationally known as Holocaust Remembrance Day, nine University of Alabama students traveled to Gus Mayer at the Summit to showcase their designs, which were each based on a Holocaust victim’s sketches. 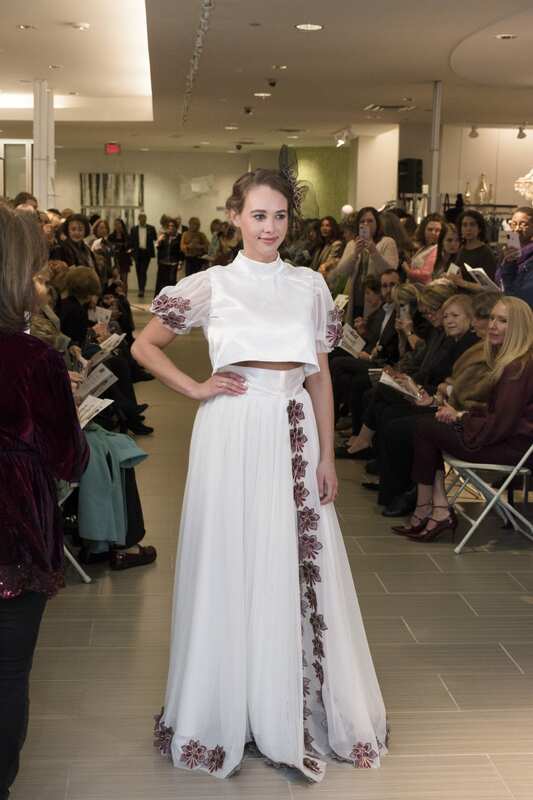 The fashion show was put on in tandem with the Stitching History From the Holocaust exhibit on display through March 16 at the Abroms-Engel Institute for the Visual Arts. 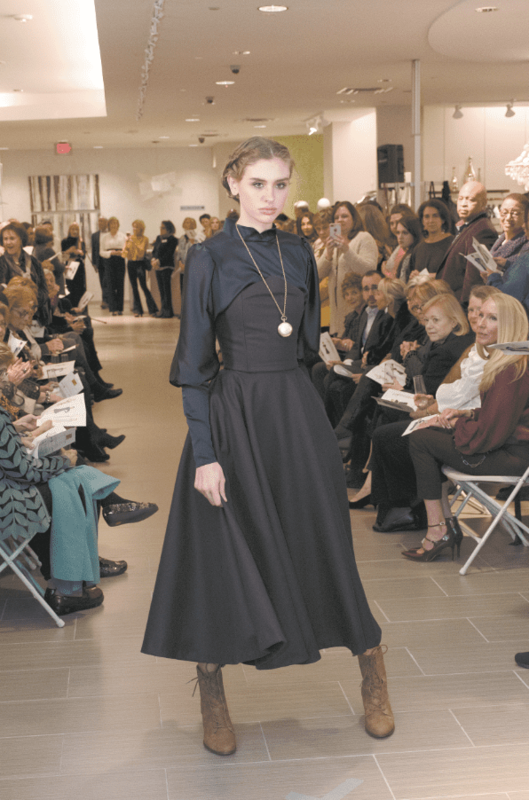 The exhibit, which is visiting from the Jewish Museum Milwaukee, at its center tells the story of a dress designer in Czechoslovakia who tried unsuccessfully to flee to the United States during the Holocaust. Hedwig Strnad – or as most people called her, Hedy – had red hair, a great sense of fashion and a husband, Paul. Together, they had a hobby of making puppets and putting on shows. When Hitler’s army invaded Czechoslovakia, Hedy’s dream of becoming a dress designer started to become impossible. Jews were having a difficult time finding any work. The Strnads decided that immigrating to the United States would be their best option, so Paul wrote a letter to his cousin in the States to ask for help in acquiring a visa. He also sent some of Hedy’s sketches along with it to show that she could be employable in America. Paul also asked his cousin to send him fashion magazines; they didn’t have access to them anymore due to censorship, and Hedy was no longer informed about Paris fashions. 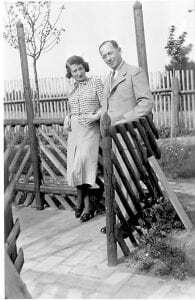 The Strnads failed to get out of Europe and died in the Holocaust. The cousin stored the letters and sketches in his attic, not to be rediscovered until 1997. Realizing the letter’s significance, the family donated it to the Jewish Museum Milwaukee, which led to further research about the Strnad family. The museum began to put this couple’s tragic story together, piece by piece. Stamps on the letters were from Czechoslovakia, revealing the Strnad’s home country. Paul didn’t mention his wife’s name in his letter, so the researchers looked for Holocaust victims named Paul Strnad in the Yad Vashem database. Several possibilities resulted, one of them mentioning Hedvika (Hedy). The database showed that a woman named Brigitte Rohaczek provided that bit of information, so the search for Rohaczek began. Museum officials asked one of their interns, Tyler Grasse, to look for her, doubting that he would actually find her. But within a few days, he found Rohaczek and was on his way to interview her. Rohaczek was Hedy’s niece and was able to provide personal details about the Strnads. Hedy and Paul Strnad. Photo contributed by Jewish Museum Milwaukee. Rohaczk said she would often visit her aunt and uncle’s home in Prague. 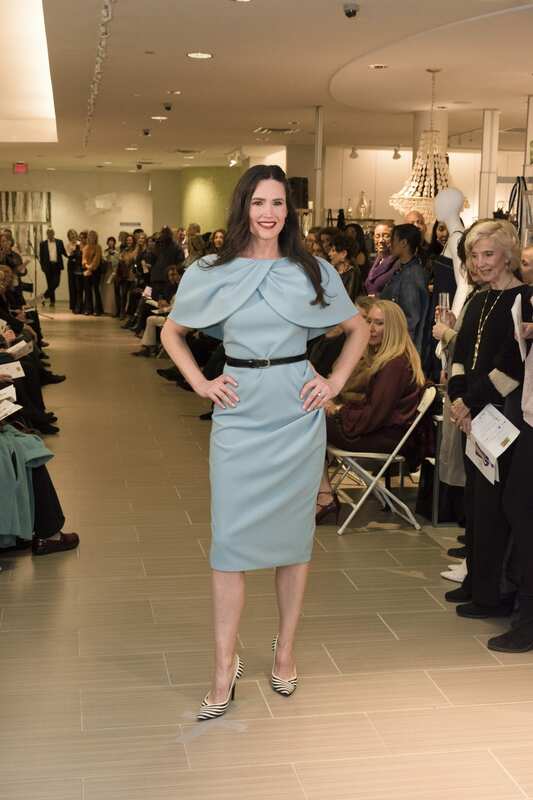 The museum partnered with the costume shop at Milwaukee Repertory Theatre, and together they brought the sketches to life, creating garments that are a reflection of Hedy’s 1939 sketches. 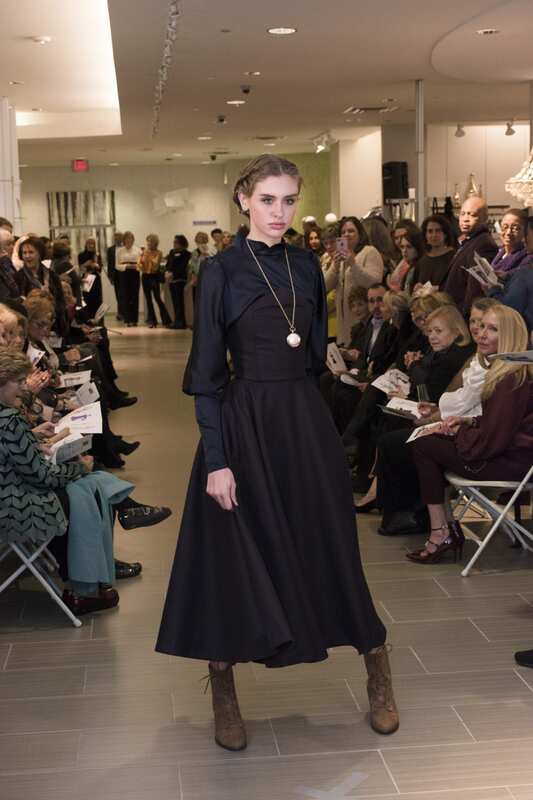 The garments, photocopies of Paul’s letters and other facts about what life was like for Jews in the Holocaust make up the Stitching History from the Holocaust museum exhibit. The exhibit is on display at the Abroms-Engel Institute for the Visual Arts in Birmingham through March 16 and is presented by the Birmingham Holocaust Education Center. 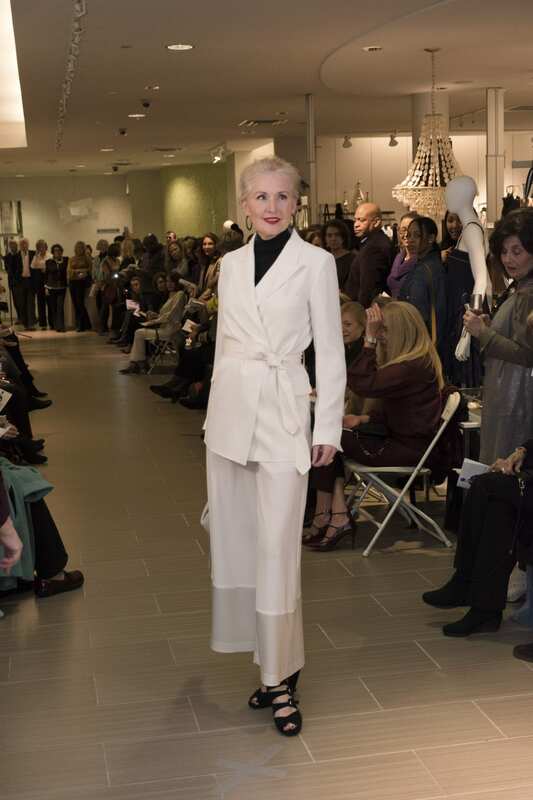 The BHEC approached the University of Alabama College of Human Environmental Sciences to invite the apparel design students to create contemporary garments inspired by Hedy’s sketches. 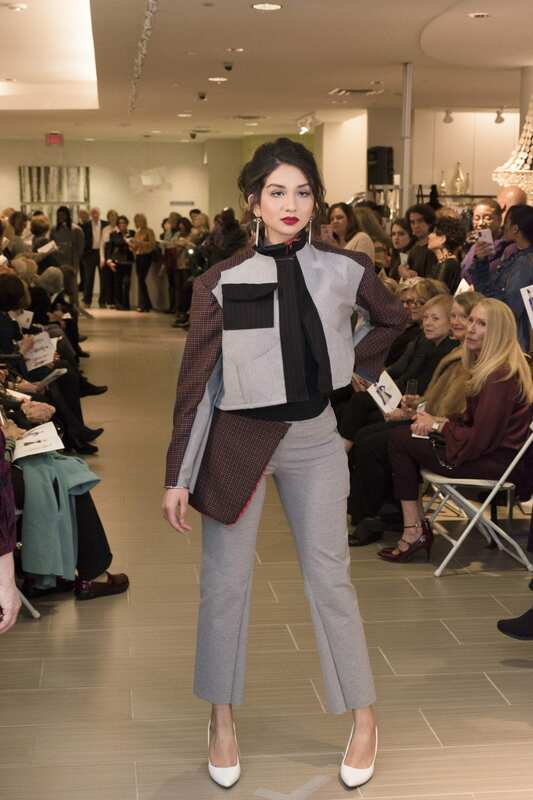 Student designers Jeff Austin, Mary Rives Drake, La’Shandra Garner, Trevor Hill, Jennica Mancarella, Kaitlyn Sarao, Millie Steed, Kailyn Thomas and Pang Vang showcased these designs at a fashion show. Hedy Strnad’s “Blue Dress” sketch. Contributed by Jewish Museum Milwaukee. Jennica Mancarella, a UA student from Hoover, said she was immediately attracted to the blue dress, but she was assigned the purple dress. 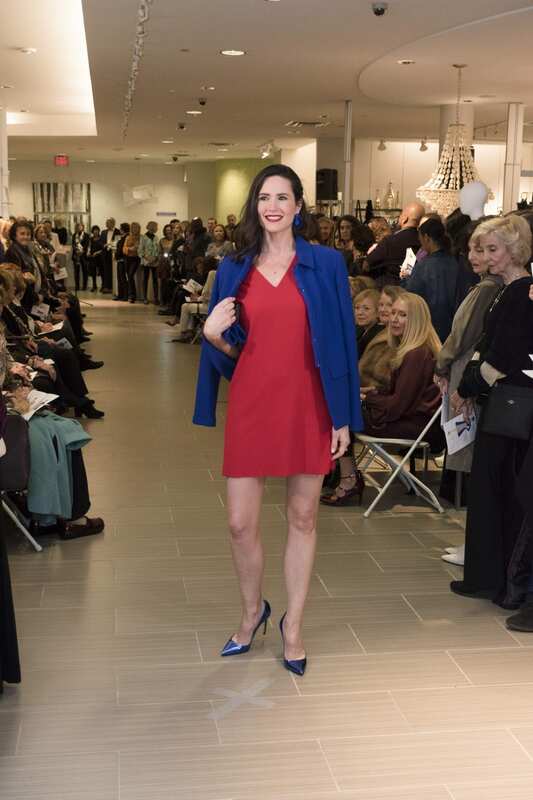 Lucky for her, Mary Rives Drake, a Mountain Brook native who was assigned the blue dress, was willing to trade. The final thing she noticed was the fur on the sleeves. 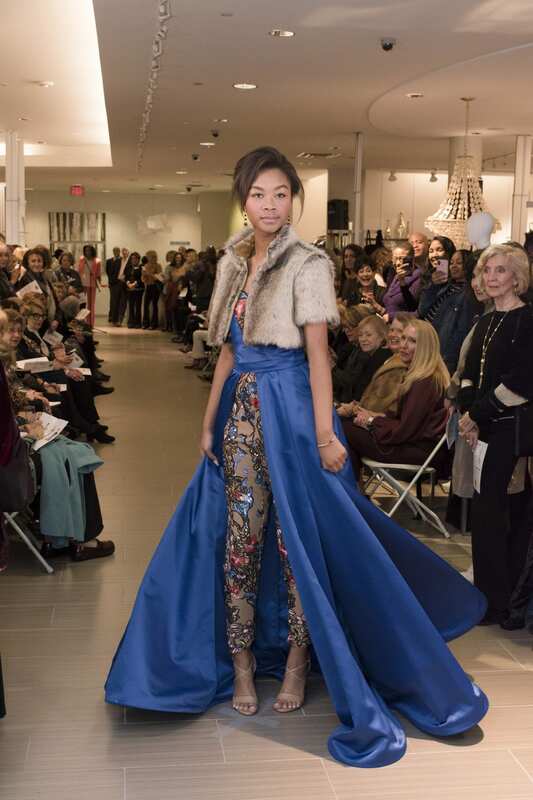 Nadia Crumb models Jessica Mancarella’s design at the fashion show. Photo by Ingrid Howard. Mancarella’s look was also different from Hedy’s sketch in what was underneath the blue: a patterned pant suit instead of a dress. This presented a challenge for Mancarella. She decided to wait to take the fabric out until she got back home. She went to her brother’s house, and while her car was parked, someone stole the package out of her car. 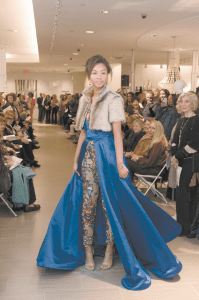 This was Dec. 26, just one month before the fashion show. 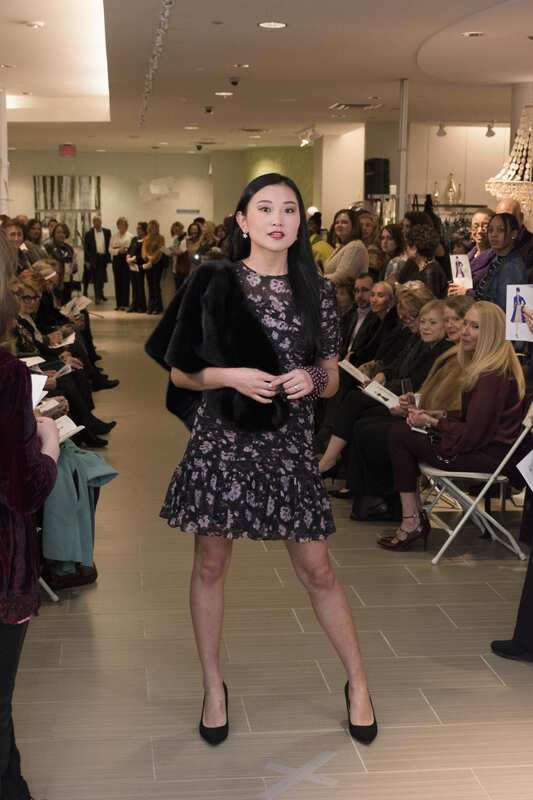 She found the same fabric on a website based in China, so she canceled her London order and hoped the Chinese fabric would come in more quickly. Four days later, she finally had the fabric in her hands. While Mancarella was hard at work on her blue outfit, Drake – the student who traded sketches with her – was working on the purple dress. Hedy Strnad’s “Purple Dress” sketch. Mary Rives Drake’s design that was inspired by this sketch is at the top of this page. Sketch contributed by Jewish Museum Milwaukee. 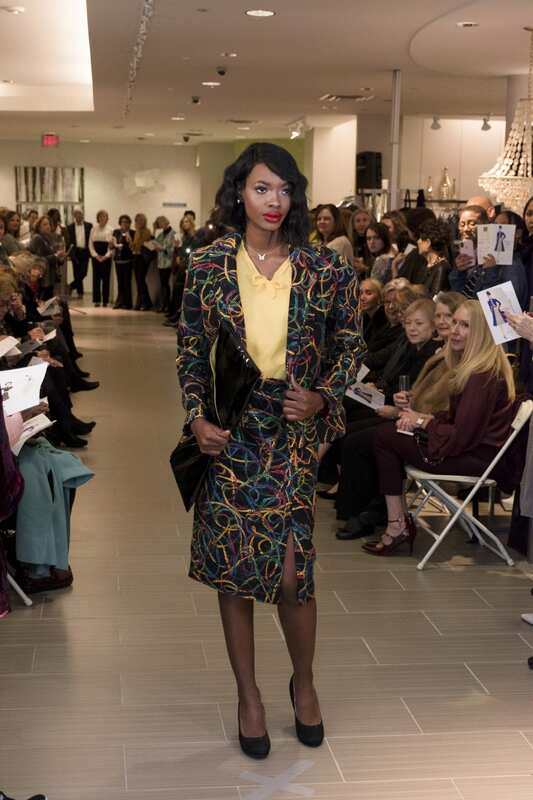 Drake used a heavy wool fabric in the design of the purple dress, similar to the fabric of a peacoat. Inspired by the diamond shapes in Hedy’s sketch, Drake designed a diamond-shaped neckline. To give her model an “old-world vibe,” Drake said she attached a family pocket watch to a chain and let her model wear it as a necklace. 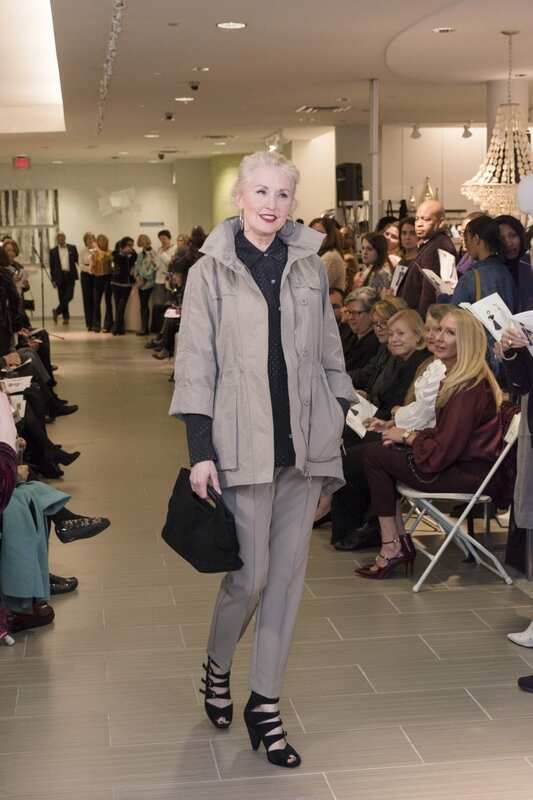 Along with the students’ designs, stylist Tracy James of Chic Made Simple selected pieces from Gus Mayer’s collections to complement each of Hedy’s sketches. 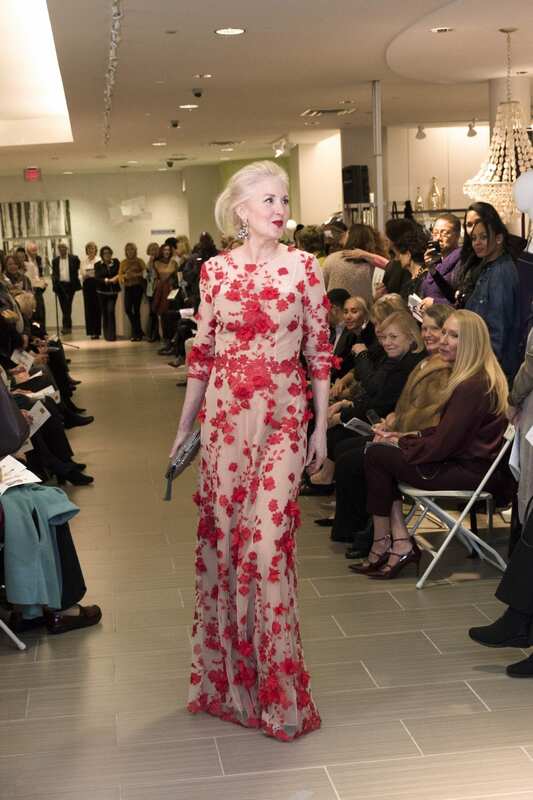 In addition to the Gus Mayer fashion show and the Stitching History from the Holocaust exhibit, there also will be a theatrical production telling Hedy and Paul Strnad’s story on Feb. 17 at the Alys Stephens Center. There also is a talk, “Immigration Then and Now,” March 5 at 6 p.m. at the Abroms-Engel Institute. For more information, visit bhecinfo.org/stitching.